Here at Horse Tack Now we investigate which Work Bridles are the best before adding them to our Online Horse Tack Store. 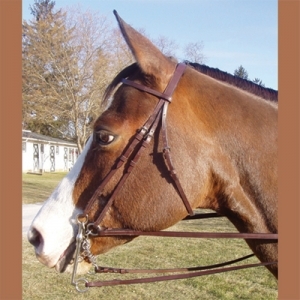 This Weymouth Work Bridle by Legacy made with premium Indian Leather is on of our most popular Work Bridle models. We strive to offer only top quality bridles at low wholesale prices.A Indian Leather Weymouth with two sets of smooth double reins. Horse Tack Now is the ultimate source for bridles on the web.